EagleRider is the world's largest motorcycle tourism company. The company specialises in travel, rentals, sales, and service of many high-end bikes such as Harley-Davidson, Indian, BMW, Honda, and Triumph. 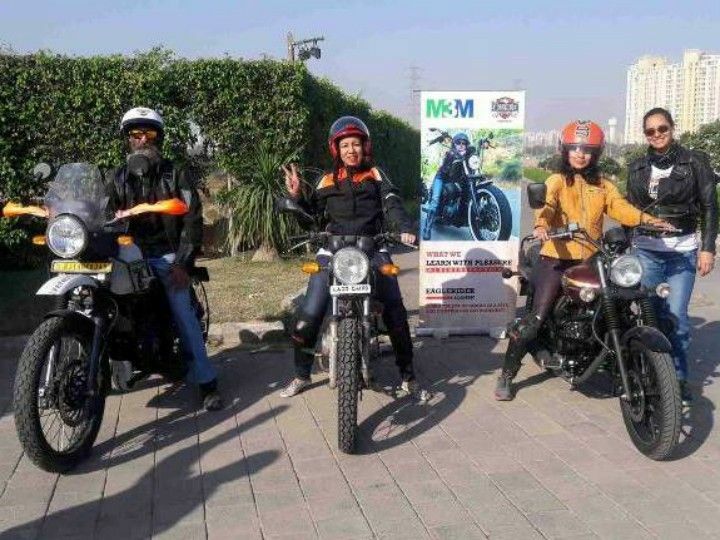 Now, EagleRider India, in association with M3M India, has started its first motorcycle training academy especially for women riders in Delhi. This training academy will help women riders to be ride-ready. They also aim at promoting the love for riding and making sure that women in Delhi ride with new confidence. All women above 18 years of age and carrying a valid motorcycling license can drop a mail with their details on the e-mail id: mandy@eagleriderindia.com. The academy's team members will get in touch with you and thereafter you can start your training shortly. - Street and highway challenges. The EagleRider training centre is based at the M3M Experia – Sales Gallery at Sector 65, Golf Course Road Extn. The facility is a combination of a classroom and outdoor riding experience, which also includes 10 hours of training and a highway breakfast ride. And with the help of this unique initiation, women will learn the basics of how to ride a two-wheeler safely in a single day. Later on, these participants can master their skills by riding safely on a daily basis.